Except in cases of domestic violence or similar circumstances, joint custody is often in the best interests of the child because it enables balanced access to both parents. However, it can be challenging for the parents to make joint custody work without adding to feelings of ill will. One way of improving the situation is to work closely with your family lawyer. A divorce attorney near La Plata can negotiate for a child custody agreement that is beneficial for all involved parties, especially the child. For a joint custody arrangement to work, it must be established with the best interests of the child in mind. 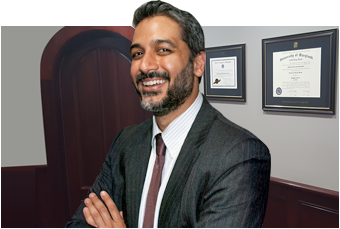 Your family lawyer may recommend that you consider a few factors, such as your child’s age, care needs, personality, and academic and extracurricular activities. You should also consider the distance between each parent’s home, the schedule of the family as a whole, and each parent’s career obligations and other commitments. Your divorce law attorney is likely to recommend that you and the other parent avoid making disparaging comments about each other in the presence of the child. In fact, some child custody agreements include this as a requirement. Making negative comments about the other parent is counterproductive, and worse, the child may blame him-or herself. The child may also feel as though he or she must take sides. Clear communication between parents is essential for a successful joint custody agreement. If you and your ex tend to get into arguments when speaking on the phone, it may be in everyone’s best interests to communicate primarily by e-mail and reserve the phone for emergencies. Remember that your communication with the other parent should be focused on the child and his or her needs, not past problems with the marriage. Every parent knows all too well just how quickly children grow up. As your child grows, his or her needs and preferences will change. It’s important for parents to consider the preferences of older children and make adjustments to the visitation schedule as needed.